Seven days of training & experiencing the joys of Kung Fu. 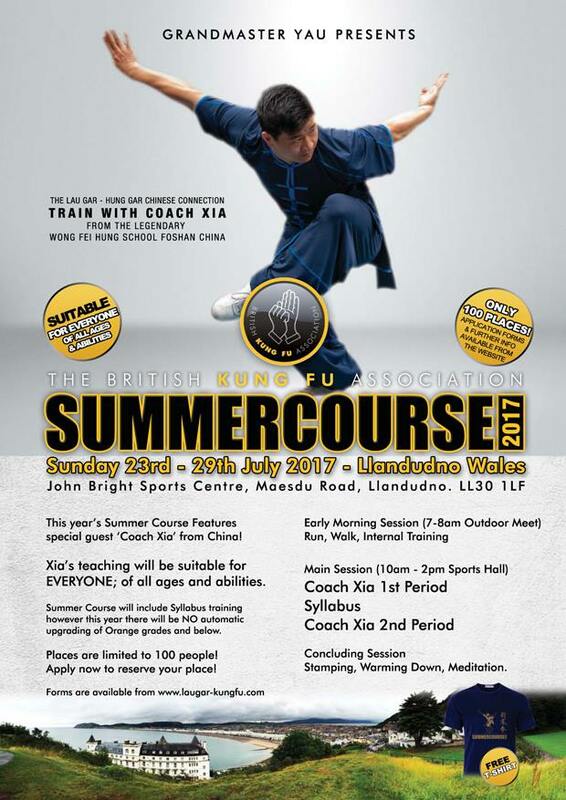 Grand Master Yau has arranged for Coach Xia to come over to the UK and teach on the summer course and he will be adapting forms and sets that he’ll be teaching to suit everyone. The routines that you’ll be learning will most certainly enhance your Lau Gar and overall Kung Fu skills. What an event at the WKU Daz Ellis Open Championships. There is so much love and respect for these four guys!